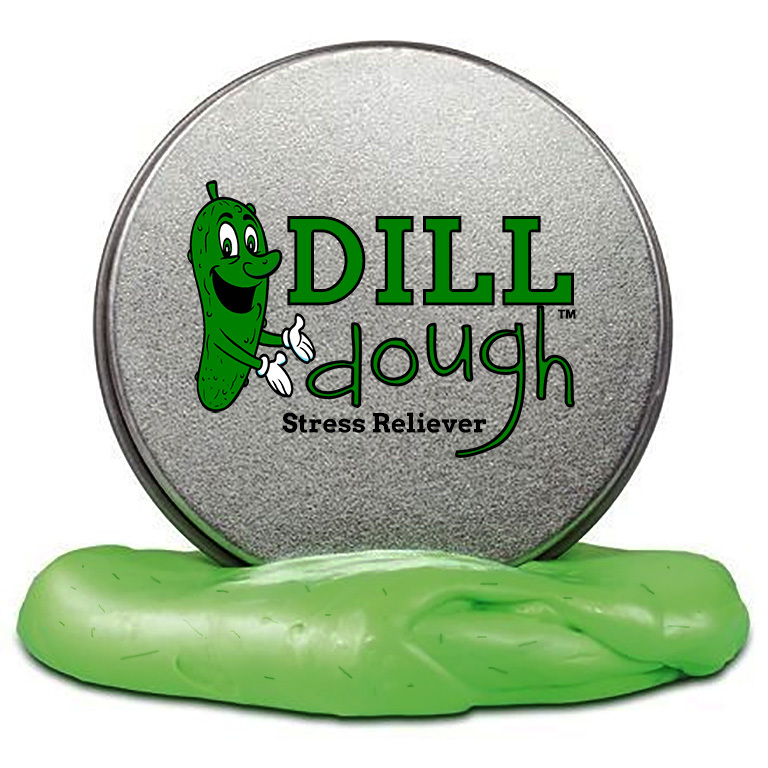 When life has you in a pickle, work that stress out the NEW old-fashioned way – with your very own Dill-Dough! We’ve worked that genuine pickle satisfaction into a clever, high-quality stress putty designed to start out good and stiff and work into a soft, squishable dough in your very hands. If you need to relax, work that Dill-dough long and hard. 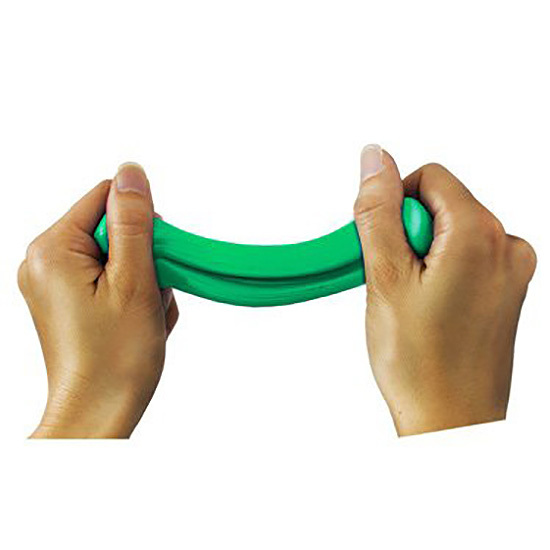 This gooey, green stress reliever will melt away your troubles one handful at a time. It just might change your life. Squish it through your fingers, feel it loosen up in soothing splendor, and indulge in the sheer rejuvenation of your soul as you squeeze it with one or both hands, whatever you’re into. 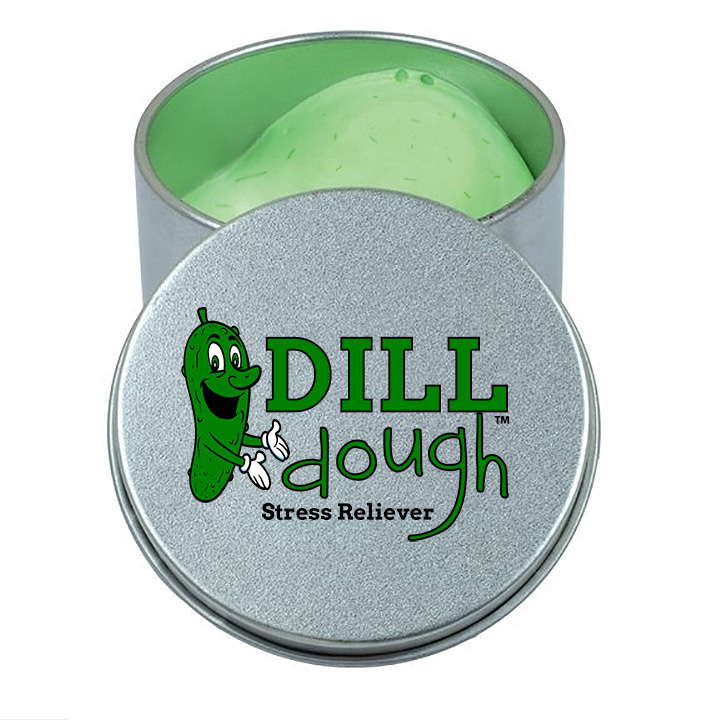 Dill-Dough Stress Putty comes in a lidded tin and fits in your desk, purse, bedside table, or other secret dill-dough hiding place. 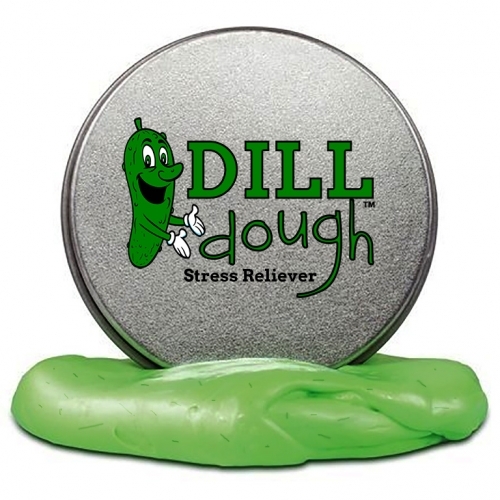 Let the worries of the day squeeze through your fingers wherever stress happens, and you’ll come away with the carefree, childlike lightness that only comes from playing with premium quality, pickle scented stress relief toys like the one and only Dill-Dough. Funny pickle gifts are perfect for any occasion or no occasion at all! Let's face it, the world would be a far more relaxed place if every time was Dill-Dough time! This silly gag gift for adults makes a hilariously naughty addition to bachelorette gift baskets, care packages, birthday presents, stocking stuffers, happy divorce gifts, bridal shower party gifts, and just to say, "It sure looks like you could use a Dill-Dough, pal!"